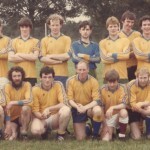 Welcome to the Ellistown GAA history section. Here you will find photographs, articles and other memorabilia from Ellistown’s history. If you have any material that you would like to include in this section, please contact someone on the club committee. 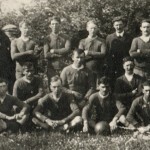 Arcticle charting the early history and formation of the club, from the Mountrice Blounts to Ellistown. 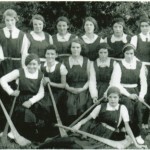 A small article about the Ellistown Camogie teams of the 1930's and the 1960's. This section displays photos from throughout Ellistown's history, including photos of the original Blounts team. 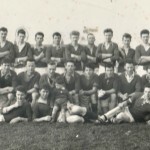 To celebrate Ellistown's capture of the 1963 Junior Championship, renowned local poet Paddy McCormack composed this tribute to the victorious team.